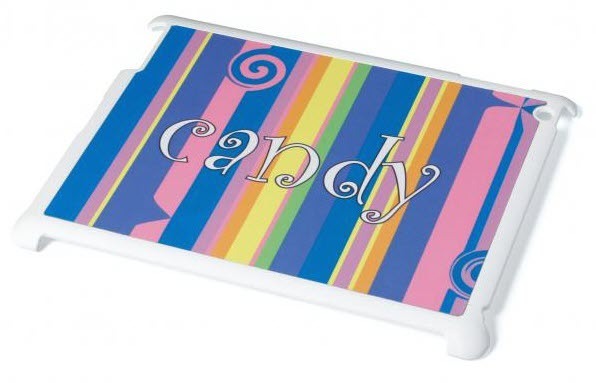 Personalised Plastic Shell/Cover for your iPad. A brilliant new design that simply clips onto the back of your iPad 2 to protect it from scratches and marks. Available in white or black. Your artwork is printed onto a metal plate and then fixed to the back of the cover. You can have any image, your family photos, favourite group, pets, children or simply a name, the options are endless!! All you need to do is upload your image and detail any text that you require. If you are just having text please ensure you choose a background and text colour from the dropdown boxes below. If you have uploaded an image you can leave the options to N/A.